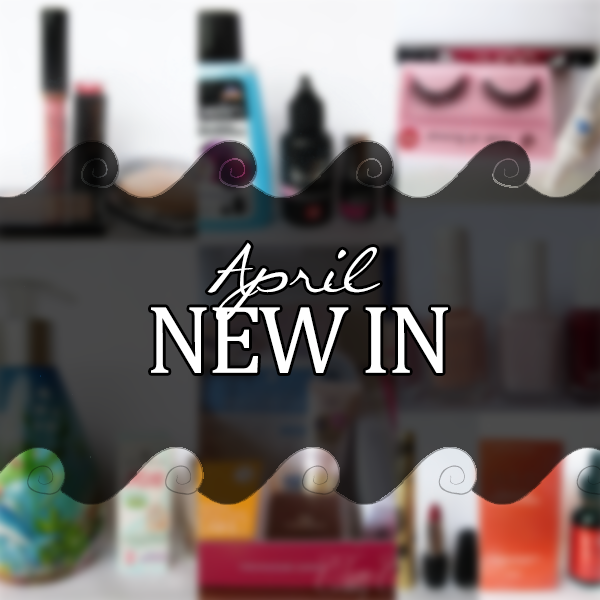 New in: April 2014 - Cherry Colors - Cosmetics Heaven! 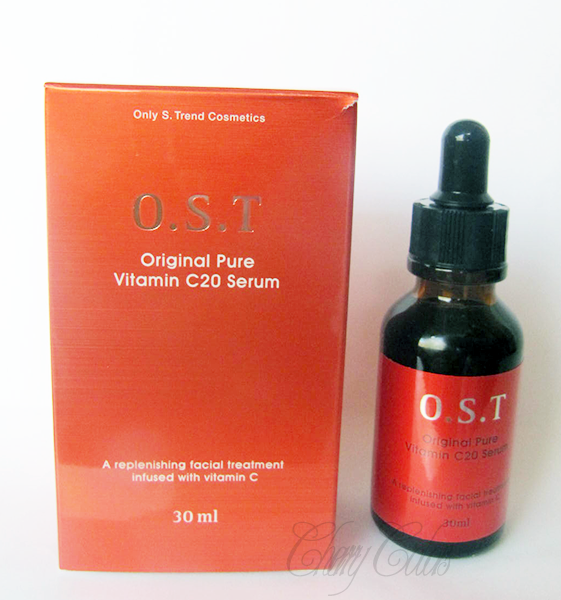 Another month rolled by, and it is time for a new in blogpost. We all love to read such posts and I had a bunch of fun taking these pictures and writing these lines. I thought I didn't buy that much this month, but the pictures don't lie. I did get a lot of sponsored products, but I didn't realise how much new stuff I got! I almost published this post with just two photos, because I completely forgot that I did get some other goodies in the mail! 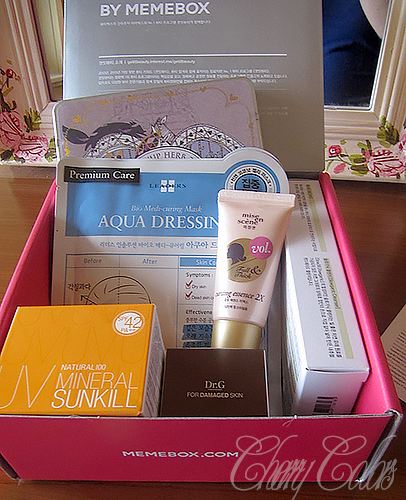 I wrote about it here; it was my very first experience ordering a beauty box of any sort. 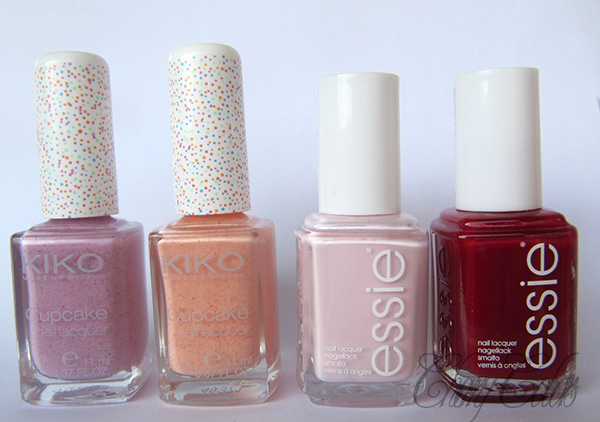 I was asked to go and buy a couple of Kiko polishes from the new Cupcakes edition for a co-blogger, so I did. I grabbed two polishes for myself, but just two since one was almost 5€! The Essies were on a BOGO offer; this is buy one, get one free. It's incredible how just a couple of years ago, I never heard of such actions in my country. And now they are! I am very happy! I got Essie Fiji, which has been on my WL for a very long time and Essie Twin Sweater set which I picked from the Winter LE. Essies are pretty expensive here, 10€/polish. I got this fantastic little present from Ličila.si - the Easter bunny got them for me ;). I got Revolution Lip polish, Revolution lipstick, Revolution Bronzer and a Revolution Eyeshadow in Naive. I will talk more about them in a separate post. 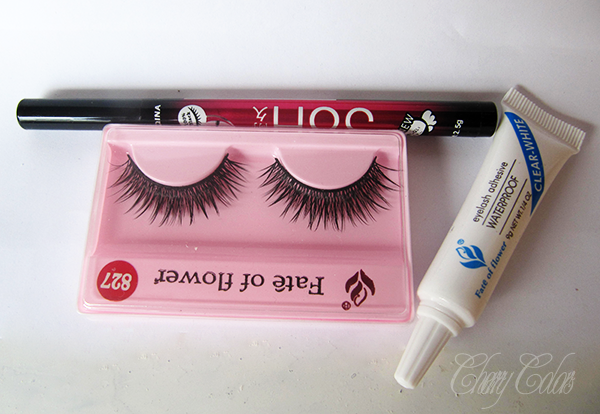 I also got a goodie bag from Tmart.com containing a nice cosmetics pack. 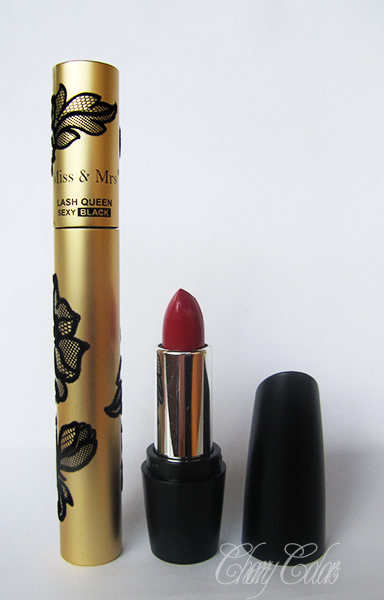 It includes: A lovely mascara, red lipstick, a box of eyelashes (8 smaller boxes in it), eyeliner and eyelashes glue. 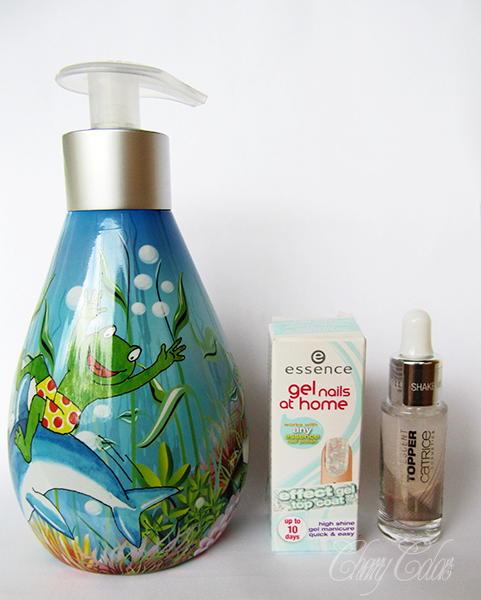 I will also talk about these products in another separate post :).